Source: Centers for Disease Control and Prevention (CDC), CDC WONDER, 2016. Represents deaths per 100,000 of the population. Over time, risk factors such as high blood pressure and cholesterol cause changes in the heart and blood vessels than can lead to heart attacks, heart failure, and stokes. It is critical to address risk factors early in life to prevent devastating events and other potential complications of chronic cardiovascular disease. 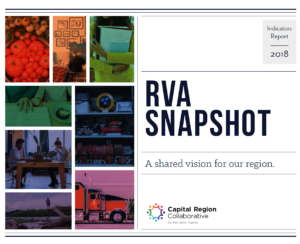 In the Richmond Region, heart disease death rate per 100,000 people has increased from 179.8 to 183.9 since 2013.